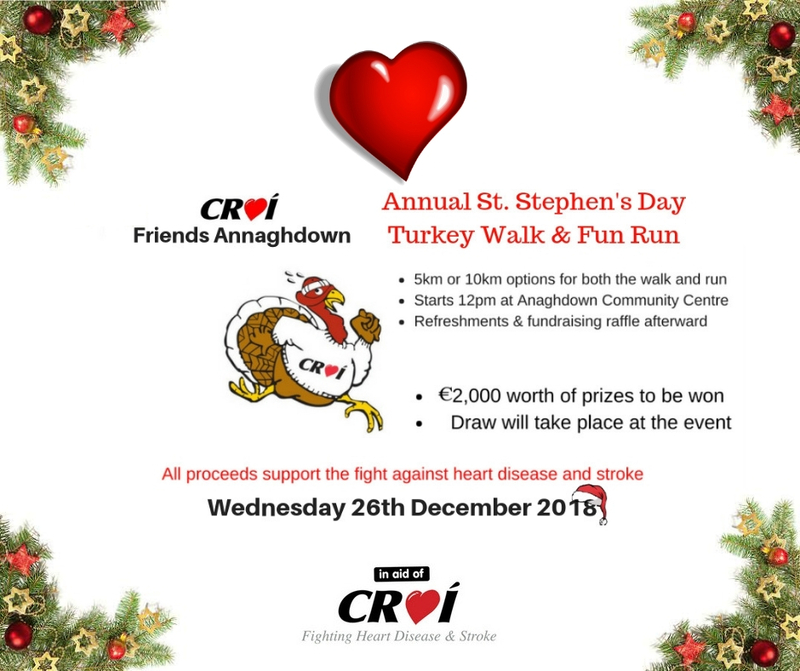 Join the Croí Annaghdown Friends Group for the Annual St. Stephen’s Day Turkey Walk and Fun Run! Walk or run, with 5km or 10km options. All proceeds support Croí and the fight against heart disease and stroke.